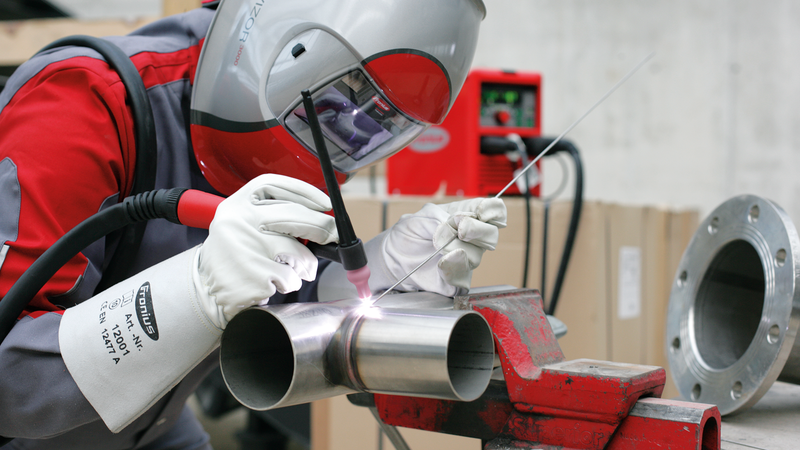 The devices in the TransTig series are the perfect partners for TIG welding. A digital signal processor regulates and controls the welding process and guarantees perfect weld properties, from start to finish. The TransTig is also available as a Job variant in all available power categories. Alongside user-friendly job mode, it also allows for cold-wire control and automated applications. There is a Comfort variant for certain power categories, which offers the user the advantage of a plain text display. This is intuitive and easy to read and use – abbreviations and numerical codes are a thing of the past. The Comfort control panel follows the proven Fronius standards and can be controlled easily even when wearing gloves.